First Listen: Tom Petty & The Heartbreakers, 'Hypnotic Eye' An air of mystery has helped keep Petty relevant for nearly 40 years. At 63, the rock legend's cynicism works hand-in-glove with his hard-earned cragginess. 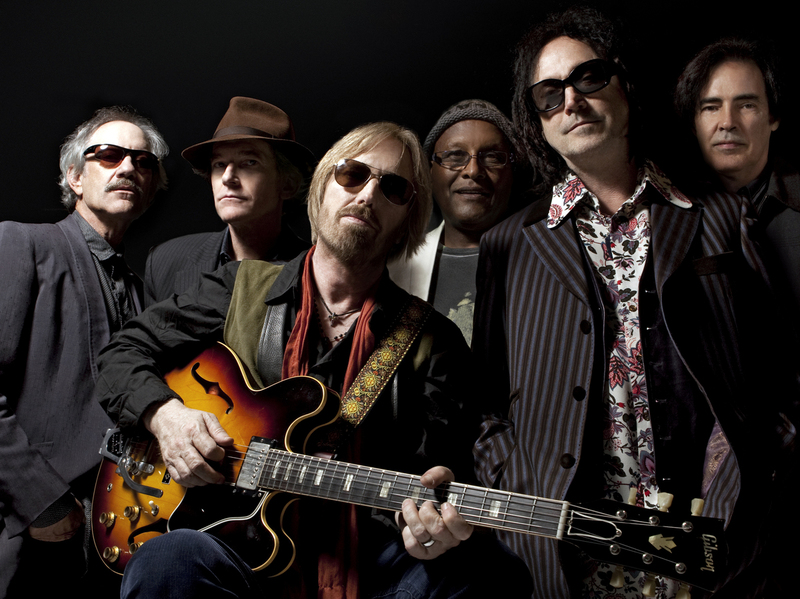 Tom Petty & The Heartbreakers' new album, Hypnotic Eye, comes out July 29. Even when he was in his late 20s, Tom Petty had a curmudgeonly edge to him, so it's no surprise that he's sneering about threats to the American dream in the opening moments of his new album, Hypnotic Eye. At 63, Petty is well into his transition to full-blown misanthropy, at times splitting the difference between Randy Newman and Bob Dylan. (See: "Burnt Out Town.") But there's still playfulness to the way he presents himself, not to mention plenty of rock 'n' roll fire in his belly, with the chunky guitars that rumble under "American Dream Plan B" backing up that notion. Even in his salty youth, even in the Full Moon Fever-fueled career renaissance he enjoyed in his late 30s, and even in his turn among rock's most respected elder statesmen in Traveling Wilburys, Petty has let a sort of enigmatic unknowability inform his music. On his warmest records, like 1994's soon-to-be-reissued Wildflowers, there's still a measure of distance to the way he presents himself. He never seems to let listeners all the way inside his head, opting instead to loom large like the creepy Mad Hatter character he played in the "Don't Come Around Here No More" video nearly 30 years ago. That air of mystery has helped keep Tom Petty relevant through a recording career that spans nearly 40 years — not to mention 80 million records sold — and it helps give Hypnotic Eye more of an edge than most performers could muster at this point in their careers. Not many guys in their 60s can sell disappointment at being in a generation worse off than their parents', but Petty pulls off that perspective with little suspension of disbelief — especially when his terrific backing band sells his songs as hard as it does in bruisingly sinewy songs like "Power Drunk." When Petty sings, "I feel like a forgotten man," his cynicism works hand-in-glove with his hard-earned cragginess. They suit him, and fit him, better than ever.